but also because of the groundbreaking and innovative nature of their instructional project." riveting case study that continues to shape and define the lives of children." the complexity and challenges of teacher-student relationships. It is a must-watch for social studies and history classrooms, teacher training, and anti-racist organizing." Applies to universities, colleges, museums, corporations, and government agencies. Licensed for unlimited Higher Education screening, plus public performance rights. Applies to universities, colleges, museums, corporations, and governmental agencies. Applies to personal use only. 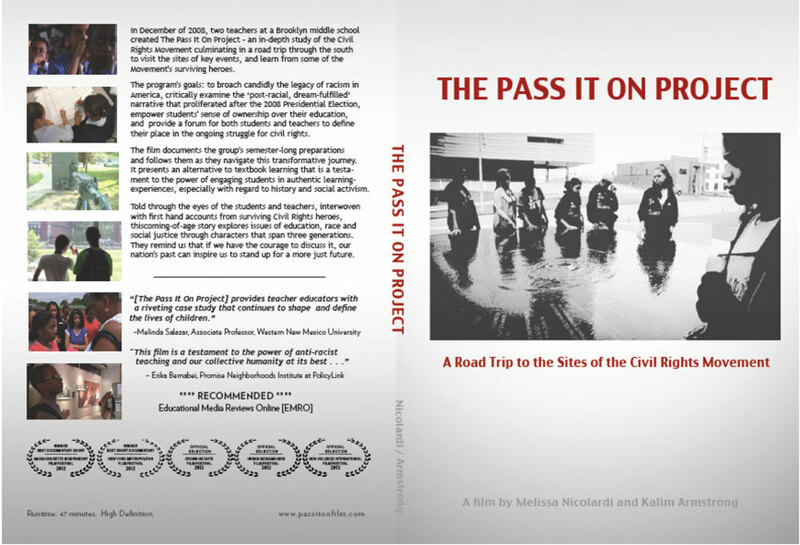 Enjoy The Pass It On Project with family and friends. Not for public screening purposes.